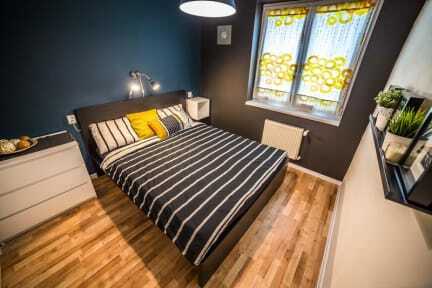 Nitra Glycerin Hostel i Nitra, Slovakia: Bestill nå! 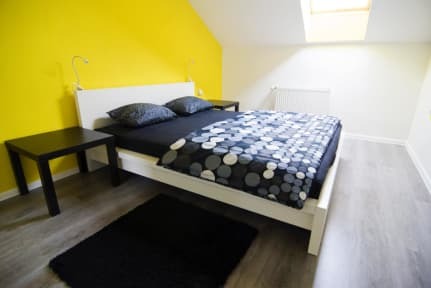 Our staff of travellers will make sure you will have a great stay at Nitra Glycerin Hostel. They will answer all of your questions and can suggest original, exciting activities, as well as all the best places to visit in Nitra. We have two big common areas where you can relax, play pool or ping pong, and enjoy the company of new friends. We have fast, free, and secure WIFI, and also board games, books, a playstation, and a guitar to play. We have free parking available for those who come by car. All these extra facilities are designed to make sure you have and pleasant, enjoyable, and memorable stay. Frankie's Bar and Ernest (pubs), and the coffee lounges: Rosetta and Libresso. Our hostel is easily accessible through local buses or taxis. Cancellation policy: Free of charge, up to 72 hours before arrival date. Reception is open 8:00 - 23:00.